A new Lufthansa pilots strike has triggered the cancelation of 1,511 flights over October 20 and October 21. The strike was initially aimed at mostly European flights, but will be expanded to international routes on October 21, hitting 200,000 passengers. Lufthansa said that the strike, over changes to retirement and pensions terms, would hit profits and its image. However, the Vereinigung Cockpit (VC) union said it wanted to send a clear message. Last week, VC called out its members at Lufthansa’s budget airline, Germanwings, for a 12-hour stoppage. The union, which represents about 5,400 Lufthansa pilots, is calling on the airline to reconsider its decision to raise the age that they can retire from 55. The company has offered to retain the scheme for existing members but not to extend it to new recruits. 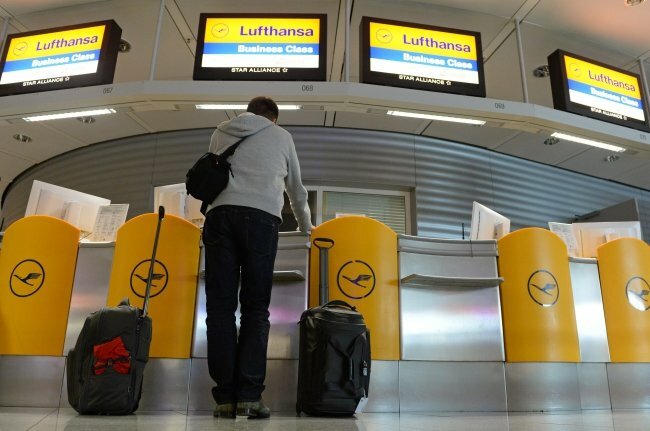 Lufthansa said it hoped to operate a third of its flights over the two days. The Lufthansa strike follows a walk-out over the weekend by railway drivers. The train drivers’ strike was over demands by the GDL for a 5% pay for 20,000 drivers and a shorter working week. The head of the GDL union, Claus Weselsky, said there would be a week-long break before any further strikes. The German Industry Federation business lobby condemned the strikes, saying they harmed “the entire economy” by affecting logistics, tourism and business travel. Germany’s economy has been slowing recently. However, the Economy Ministry said although the strikes would certainly “impact some sectors of the economy”, there was no reason to change the 2014 growth forecast which was lowered this month to 1.2%. Germany’s government is expected to produce a draft law later this year aimed at stopping small numbers of employees paralyzing large parts of the country’s infrastructure through strike action.